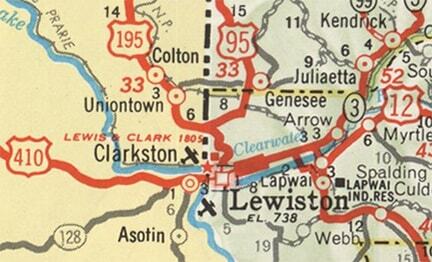 The aforementioned junction in North Lewiston, where US 95 made its turn. The intersection of 18th Street and Main. 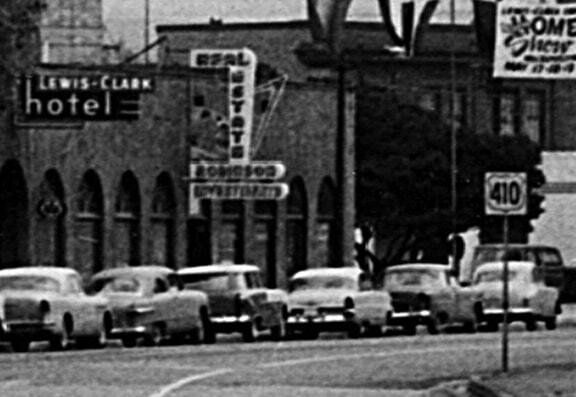 (Today's bridge across the Clearwater aligns with 22nd Street, but that was not opened to traffic until 1951. The original bridge connected 18th Street in central Lewiston with 20th Street in North Lewiston.) West on Main could have been the beginning of US 410, while north on 18th approaching the bridge could have been the beginning of US 195. On Main at 13th Street, at the location of the Nez Perce County Courthouse (in the early years, it was common to sign all route designations to a central government building, such as a city hall, courthouse, Capitol, etc). 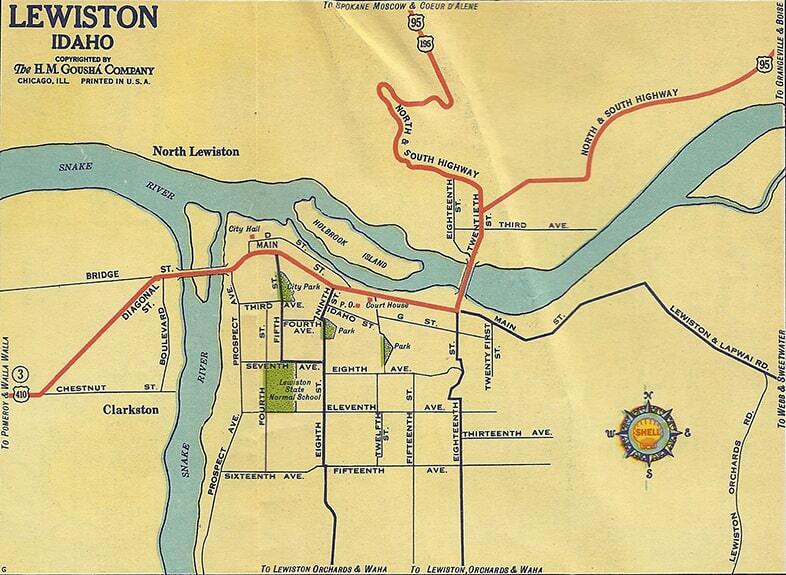 US 195 could have begun to the east on Main, while west on Main could have been the beginning of US 410. On the bridge over the Snake River, at the Idaho/Washington state line. 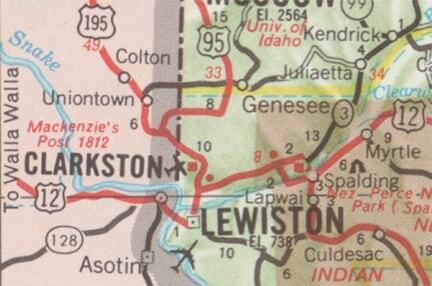 In other words, US 410 could have existed only in Washington, while US 195 was only in Idaho. 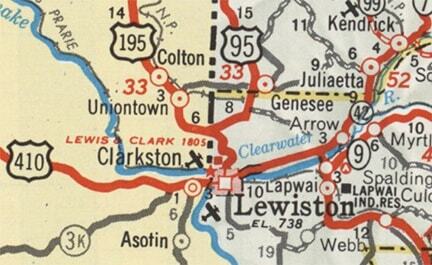 So since 1967, only one US route has an endpoint in the Lewiston area, and it is unclear when the US 195 designation was truncated to its current terminus. 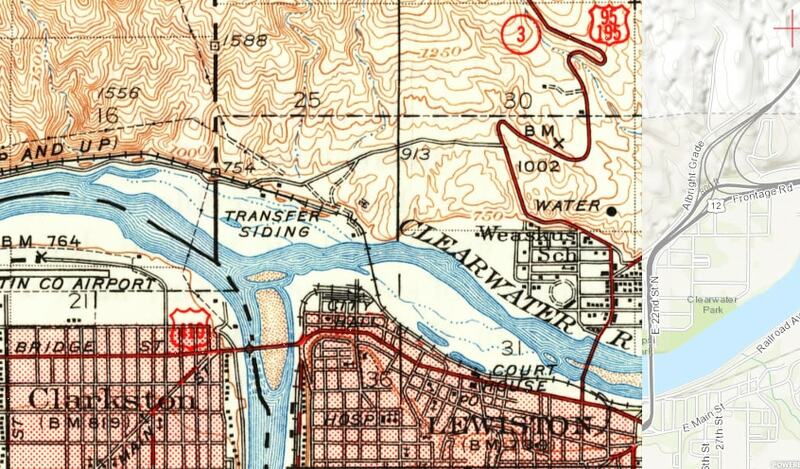 When US 12 was extended through Lewiston, all of the southernmost 8-10 miles of the original US 195 had become concurrent with either US 12 or US 95, so it was no longer necessary for the US 195 designation to go all the way down into Lewiston. 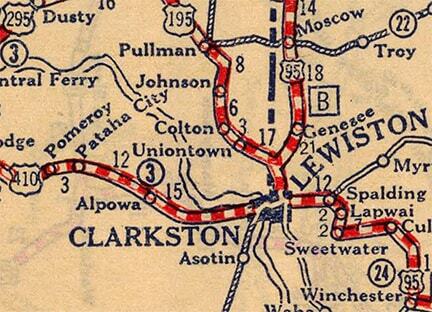 It is possible, then, that US 195 was truncated in the 1960s. Another possibility would be in the mid-1970s, when US 95 traffic was moved off what is now known as the Old Spiral Highway, and onto its current four-lane grade up the Hill. At the top of the Hill, a new bridge over Hatwai Creek was built, such that US 95 now stays entirely within Idaho (the original US 95 crossed Hatwai Creek a little further upstream, so there was a one-mile segment that passed in and out of Washington). 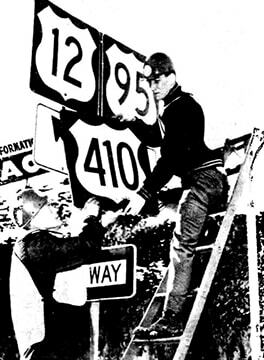 So the US 195 designation may have been truncated to the current junction when this new US 95-195 interchange was built.